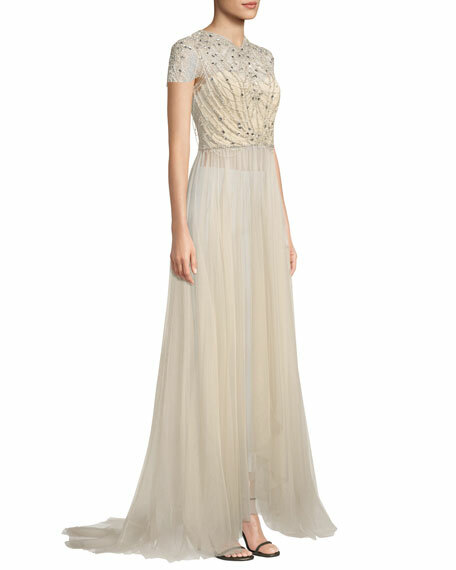 Jenny Packham evening gown in tulle with beaded-embellished bodice. 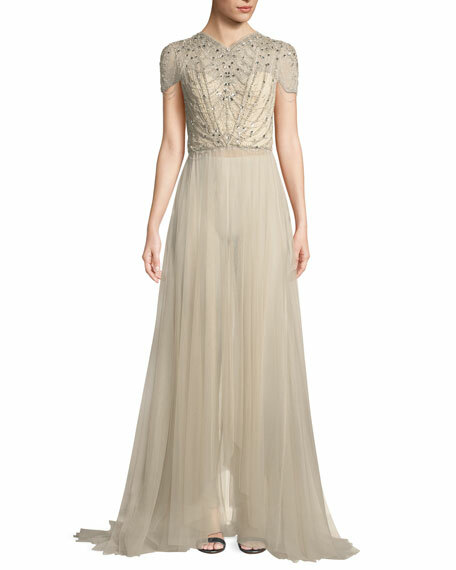 For in-store inquiries, use sku #2509258. 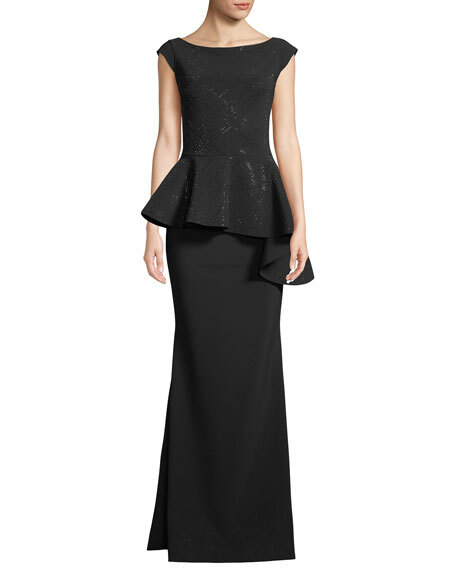 Brandon Maxwell crepe evening gown with velvet bodice. 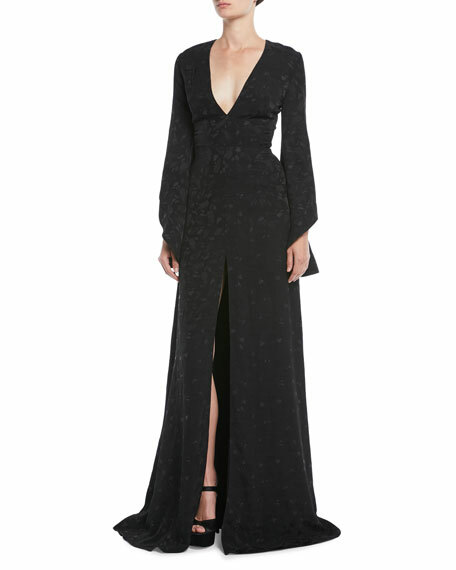 Halter neckline; dramatic keyhole front. Open back; thin straps. Fitted waist. 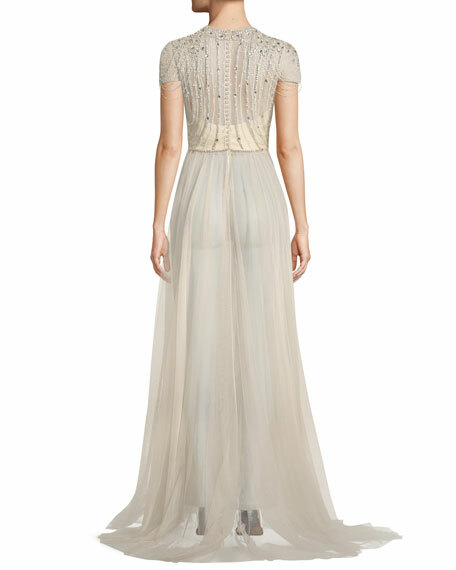 High front slit. Column silhouette. Hidden back zip. Train hem. Cotton; combo, viscose/acetate/spandex. Lining, polyester. Made in USA.